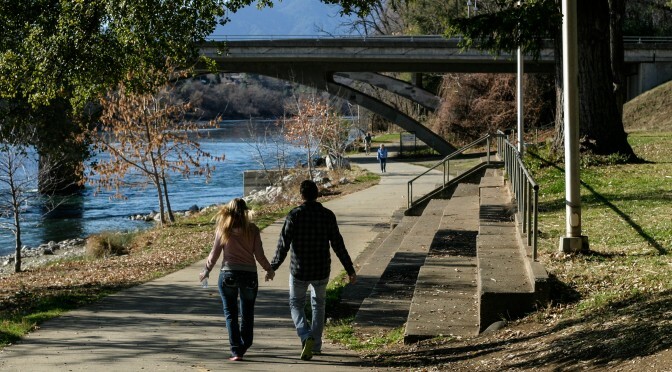 Sacramento River Trail was chosen as one of the top ten trails across our great state! A Thousand Wonders – Plus More! You’ve read about it in Rails to Trails magazine, now get the full story about the Sacramento River Trail system in the extended story with additional details and travel facts! This article on the wonderful systems of trails in Redding first appeared in the Fall 2013 edition of Rails to Trails magazine. Due to space restraints, Bryan Goebel’s original piece was edited down quite a bit for the print product. Rails to Trails Conservancy has made the full article available online, with many additional travel facts and descriptions of the Sacramento River Trails. Previous PostA Visit to Downtown Chico: Is There Inspiration To Be Found?Next PostThirty-five Percent Boost In State Funding For Bicycling And Walking!